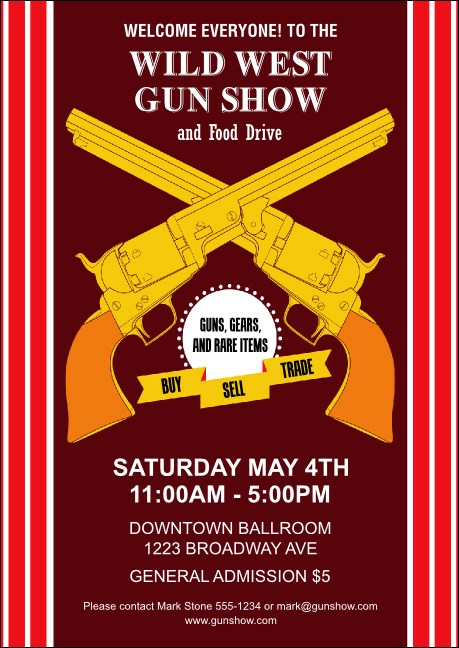 Round up your event promotions ammo when you advertise with the Gun Show Club Flyer. This flyer is small like a pistol, but has big firepower with sixteen lines for your gun show or wild west event details. Pair with matching tickets, posters, and invitations in an Event Kit. Aim for big attendance when you promote with the right design from TicketPrinting.com.